There are a variety of reasons individuals have difficulty adhering to low-risk lifestyle patterns. Social and economic factors such as poverty, education, racism, and living environment either enable or inhibit a person’s ability to engage in modifying those causes. Psychological factors such as fear, anxiety, depression, low self-esteem, and trauma may limit an individual’s capacity to seek and make lifestyle change as well. Fortunately, new models of healing-oriented practices commonly referred to as integrative medicine are becoming more available. Integrative medicine is a patient-centered approach that embraces the natural healing capacity of the body and appreciates the need to restore harmony not only in the body but the mind, soul, and spirit. If over 80% of health-related outcomes are independent of medical interventions, then individuals need integrative strategies that empowers an individual to identify meaningful solutions to restore and maintain health. Realizing your full potential is our aim at Grand Rapids Natural Health. As medical director, I look forward to witnessing individuals regain authority over their own health and wellbeing. We have assembled a team of diverse health care providers who look at the whole person, not just their diagnosis or symptoms. One of my roles at Grand Rapids Natural health is to provide medical oversight of the naturopathic physicians. I am in unique position to provide this role given my extensive clinical experience in traditional allopathic medicine and specialized training in integrative medicine, which shares many of the same principles found in naturopathic medicine. As an integrative medicine physician, I focus on stress management and resilience, physical activity, sleep, nutrition, substance abuse, social support, and the environment. 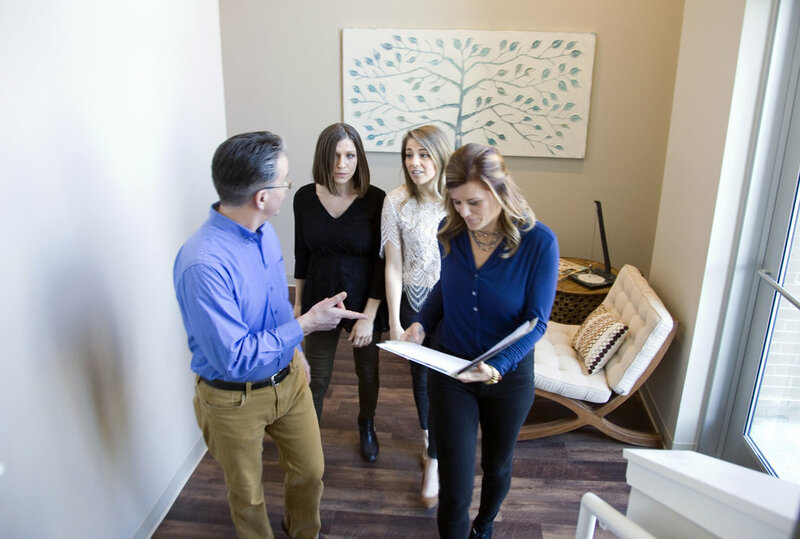 As a team our first priority is evaluating our patients physical symptoms and their environment while also attending to their inner personal landscape of meaningful and purposeful activities as well as spiritual practices. Important to you, is that in this collaborative and healing-oriented approach, we not only address the physical symptoms and their cause, but help the you identify areas of greatest concern in an effort to promote healing and not merely symptom relief. While managing physical signs and symptoms take first priority, our team understands that healing also includes restoring harmony in the physical body as well as mind, soul and spirit. Integrative healing strategies will include natural remedies whenever possible, such as self-care techniques, lifestyle modification, and dietary supplements. Medication or surgeries will be recommended when necessary. For the latter we will work with your primary care physician and other members of your healthcare team as necessary. Our clinical team includes integrative medicine, naturopathic medicine, health coaching, acupuncture, message therapy, energy medicine, and organic skin care. If these services don’t meet you health needs we routinely collaborate with other providers including therapeutic yoga, chiropractic medicine, physical therapy, and counseling while supporting you and your other medical team members. Now is the time to achieve your fullest potential. Visit our website and call us today. 1. McGinnis JM, Williams-Russo P, Knickman JR. The case for more active policy attention to health promotion. Health Aff (Millwood). 2002;21(2):78-93. 2. Centers for Disease Control and Prevention. Leading Causes of Death. 2016; https://www.cdc.gov/nchs/ fastats/leading-causes-of-death.htm. Accessed December 11, 2017. 3. Yanping Li, An Pan, Dong D. Wang, Xiaoran Liu, Klodian Dhana, Oscar H. Franco, Stephen Kaptoge, Emanuele Di Angelantonio, Meir Stampfer, Walter C. Willett and Frank B. Hu. Impact of Healthy Lifestyle Factors on Life Expectancies in the US Population. Circulation. 2018;138:345–355. 4. King DE, Mainous AG 3rd, Carnemolla M, Everett CJ. Adherence to healthy lifestyle habits in US adults, 1988-2006. Am J Med. 2009;122:528–534. doi: 10.1016/j.amjmed.2008.11.013.